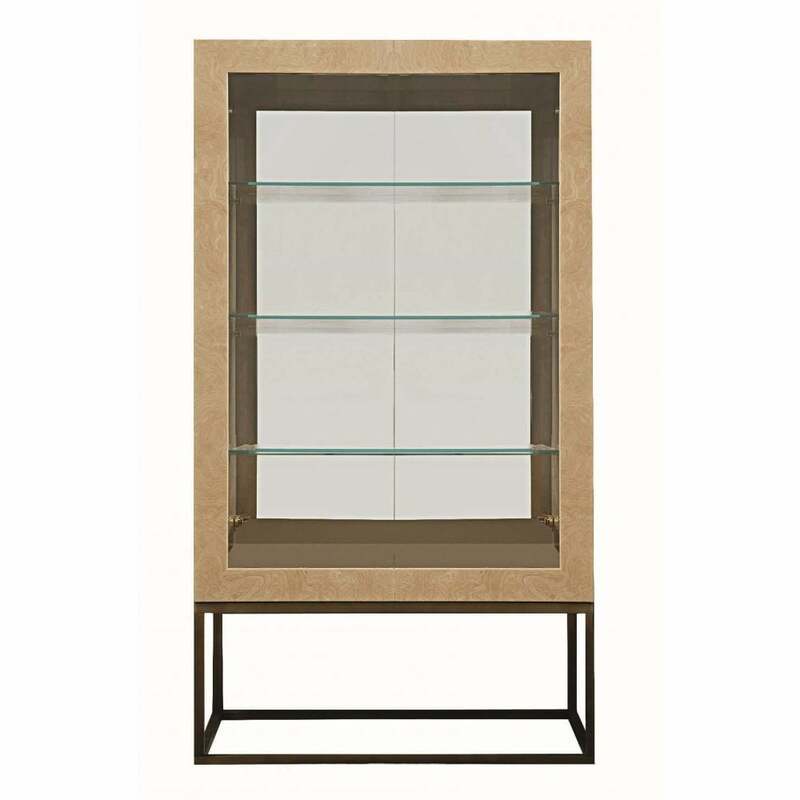 Clean, modern lines and a combination of finishes form the elegant Madame showcase from the Daytona collection by Signorini & Coco. A sophisticated myrtle burl forms the elegant showcase, with intricate wood effect detailing. Pure burnished brass complements the linear finished base. The Madame showcase features three shelves set into the depth of the structure for displaying precious accessories and prized possessions. A mirrored finished back and sunken spotlights highlight the inside of the showcase. Style with other complementary pieces from the Daytona range from Signorini & Coco.